Summertime is in full swing, which means that insects and other pests are even more active than any other time of the year. While pests can get into your home any time of the year, it is around this time that they will make their presence inside your home. Of course, no one wants their house to become a haven for mosquitoes, termites, and other bugs. Plus, once these insects and pests get inside, you may soon have a full-fledged infestation on your hands — which will be hard to control on your own. 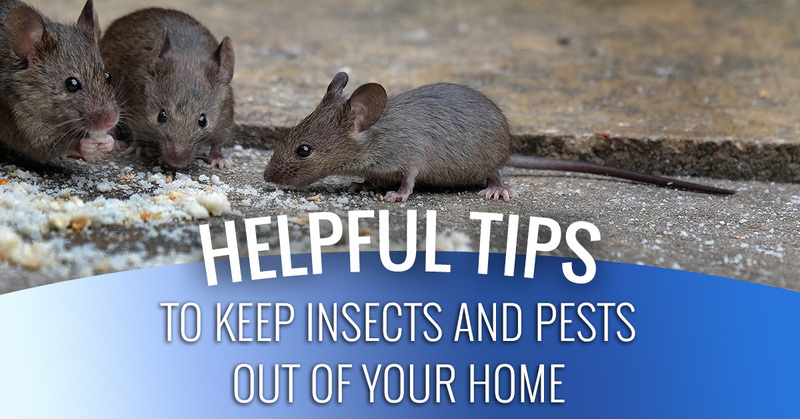 You know the saying, “an ounce of prevention is worth a pound of cure”, and in this blog, we are going to share some helpful preventative tips to help keep pests out of your home. In the summertime, you likely open your windows and doors more frequently, but that may also mean you are letting bugs inside. Before opening any windows or doors, be sure to check that the screens are still in good shape. Even the smallest holes or tears are enough for some insects to gain access inside your home. 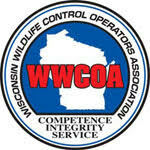 The last thing you want to find is bees or wasps that have entered through damaged or punctured screens. You’re not alone, many homeowners often leave food on countertops or tables at some point throughout the week. Although it is a common habit, it really isn’t something that we should do, especially if we are trying to keep pests and bugs from getting inside. Leaving food out sends an open invitation for insects like ants and flies to enter your home and have a feast. Of course, you don’t want bugs crawling around your kitchen, so be sure to store food in sealed containers when you are finished with them. Items like snacks, cereal, baking products, and other products and food that are typically tucked away in your cabinets should be properly stored. Sealing cracks or openings in your home can go a long way towards preventing pests and insects of all kinds from getting inside. Be sure to check out the condition of your foundation, keeping an eye out for any holes, cracks, or other openings that could potentially allow bugs and other pests to invade your home. If you notice any, be sure to fill them in with expandable spray foam or caulk to prevent bugs from entering. Leaving messes like spilled crumbs or liquids on your counters and floors will attract ants and cockroaches. Always be on the lookout for any dirty areas in the kitchen, dining room, and other areas throughout the home. Be sure to immediately clean up spills to prevent insects from coming into your home. Wet and damp areas attract more than just mosquitoes and termites, they also attract cockroaches and silverfish, too. Drips or leaks in the bathroom plumbing is enough to attract various insects. Be sure to repair any leaky pipes or fixtures and make sure to prevent too much moisture from accumulating inside. The more objects you have in your home, the greater chance for insects and other pests to hide out, especially when it comes to garages and basements. Staying organized, getting rid of junk and unnecessary items, and properly storing valuables or items you don’t use often will help keep pests and insects at bay. Sweeping inside your home and out is also another beneficial way to find and address areas where these intruders are likely to hide. When it comes to the value you get from your home and pest prevention, sometimes having less is more. When it comes to troublesome insects in the summertime, many people immediately think of mosquitos. Mosquitoes thrive and breed in standing water, so during this time of year, it is important to eliminate any areas around your home that are wet. This can include puddles, kid pools, and other objects that may have rainwater leftover inside of them. Additionally, termites also love water, so eliminating standing water will also help protect your home from them! Areas in your bedroom that aren’t often visited, such as closets, under your bed, and in dresser drawers are ideal places for pests like bed bugs, beetles, or moths to gather. The next time you clean your bedroom, be sure to do so from top to bottom. Look out for signs that indicate you have an insect problem, such as spotting egg sacs, spiderwebs, or holes in your linen or clothing. Dust and clean your bedroom whenever possible and maximize storage by using plastic totes or containers — instead of cardboard — that can keep insects out. Areas like window sills, dresser drawers, and behind appliances are the most common areas for pests to breed and lay eggs. Hopeful,ly the eight tips above will help you keep unwanted insects and pests out of your home now and during other seasons. However, if you do have a pest or insect infestation on your hands, it may be best to call a residential exterminator. 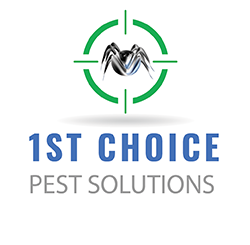 If you are looking for an exterminator or pest control company in Eau Claire and the surrounding areas in Wisconsin, contact 1st Choice Pest Solutions. 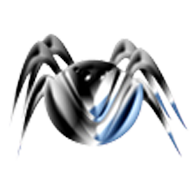 We offer definitive insect control services to help keep bothersome spiders, beetles, ants, and other insects off your property. To receive a free estimate, contact us today!